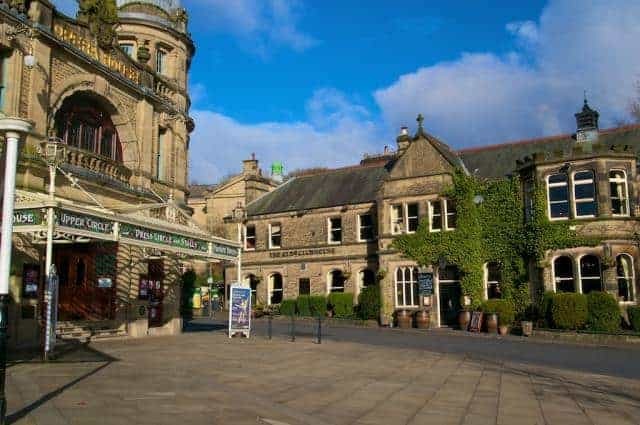 What’s On Buxton Opera House? At the beginning of 2018 you let us know how pleased you were when we offered accommodation and breakfast prices cheaper than your Opera House theatre seat. Well once again we are repeating the offer over selected dates in January and February 2019. The Portland Hotel making a visit to the theatre truly affordable. To take full advantage either book on line via this website or call 01298 71493. All our rates include Breakfast. Buxton Opera House Early Spring 2018. Stay Friday 23rd & Saturday 24th for as little as £99.00 double room including breakfast. Chatsworth House opens on Saturday March 24th 2018. SPECIAL OFFER for Sunday March 25th 2018 Double room including breakfast ONLY £45.00!!!!! Relight your fire for one of the most successful boy bands of all time. Take That Experience show at the Buxton Opera House "Relight The Fire" gives you the very latest Take That favourites as well as all the classic songs from the past including Back For Good, Relight My Fire, Could It Be Magic, Patience, Shine, Rule The World, Up All Night, Greatest Day and The Flood. Why not take in the two shows and stay in a double room two nights for only £96.00 including breakfast. These rates are only available via our website or telephone (01298) 71493. Buxton’s beautiful Opera House was designed and built by Frank Matcham, one of Britain’s finest architects in 1903. Recently restored to its former glory after a major refurbishment programme, the theatre is well worth a visit. Expect a spectacular auditorium complete with cherubim, exquisite ceiling paintings and gold leaf decoration. A varied programme of events includes musical concerts, drama, children’s shows, dance, pantomime, comedy and opera. Prices vary according to performance. Within Walking distance of the Portland Hotel!